Winter has officially begun. Daylight hours are beginning to lengthen again, but the real winter weather is still ahead of us. This time of year so beautifully lends itself to reflecting on the past and future, cherishing time with loved ones, and meditating on the gratitude we feel for all of the richness in our lives. Thank you for being part of this experience! This is also the time of year (for us) to rest and recover. On the recovery front, we still need some time to heal after recent doc appointments. Accordingly, we have our Bread, garlic, etc. available for CSA members to order for pick up on Wednesday. We anticipate having salad, microgreens, brussels sprouts, and carrots available to order later this week (pick up on Saturday). Remember: 2014 Market Share CSA members’ balances will expire 12-31-2014. 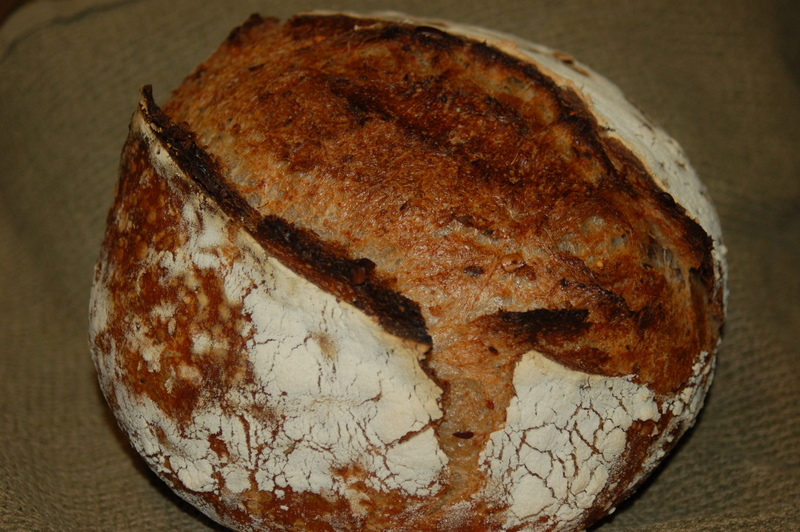 Pre-ordering of our harvest and bread is exclusively for Market Share CSA members. If you wish to invest in our farm, order from us in 2015, and have access to our harvest before we start attending the farmers’ markets next year, please Sign up for our 2015 CSA season! Your investment now allows us the funds to purchase fertilizers, soil amendments, seed, and supplies for the 2015 season. We are now accepting applications for 2015 Internship positions. Please share the details in this link with anyone you think may be interested. Garlic, Pepper Jelly, and naturally leavened Hearth Baked Bread. 2014 Market Share CSA Members: Choose your selection through our Online Ordering to order for pick up on Wednesday at our farm or at Good Health Herbs.